Some readers may know that Dexter is the shyest of the three chatty cats. But did you know he’s also the most dramatic? As depicted in his latest Sunday Selfies. Dexter sets the camera timer and prepares his pose. 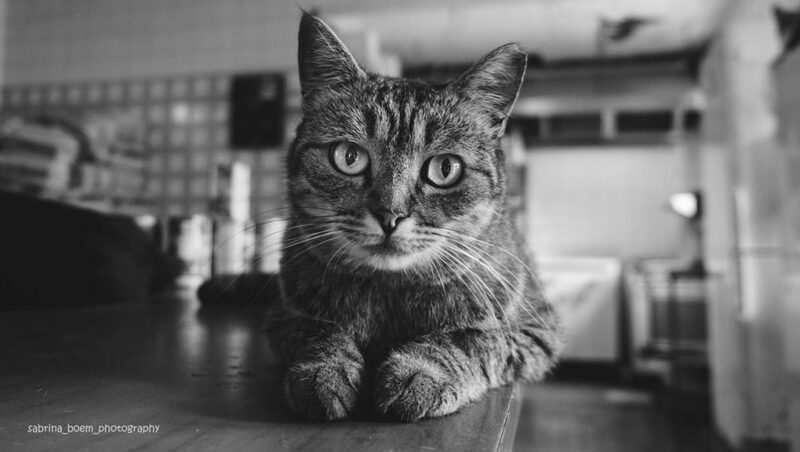 Today we look at Sabrina Boem’s shelter photography. 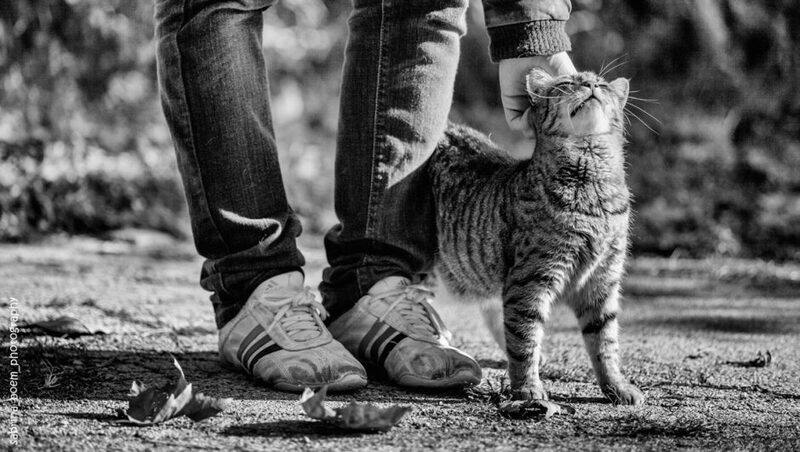 In earlier posts, we saw her stray cat photography and people with cats – all stunning black and white photography. 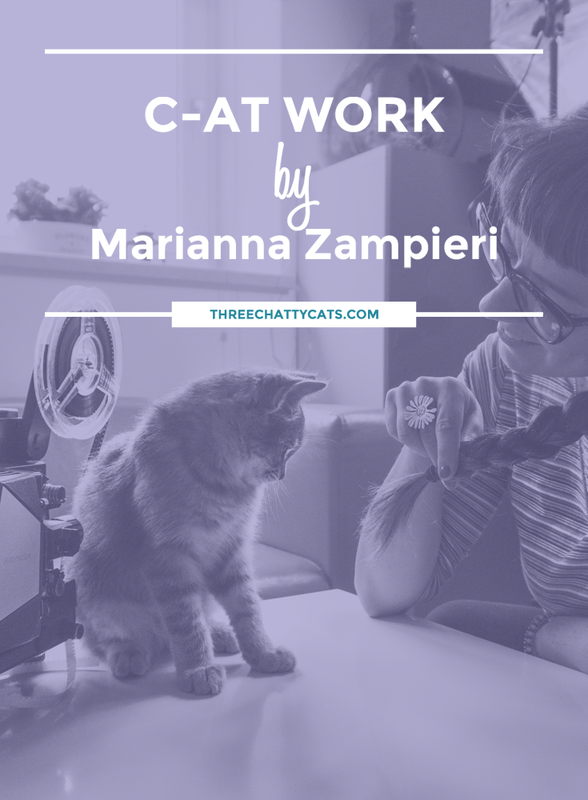 If you’ve read those other posts, you know that Sabrina, who lives in Italy, is a talented amateur photographer with a love for cats. 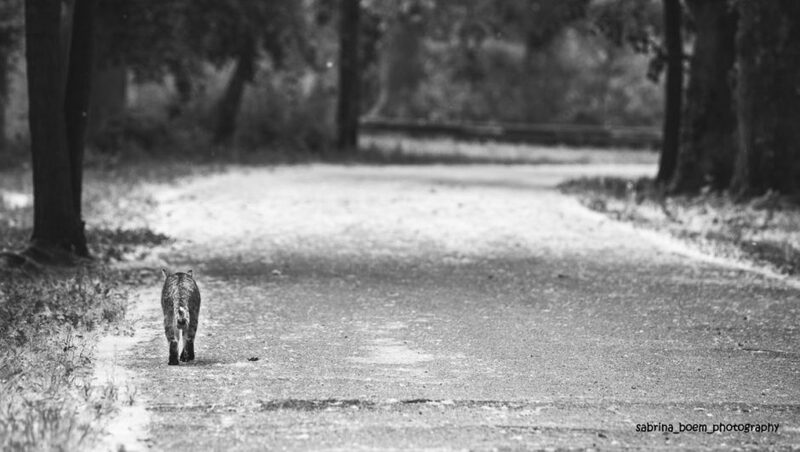 Let’s look at her shelter photography now and see how it all started. I’m excited to bring you the second in the series of three posts featuring the beautiful black and white photography of Sabrina Boem. In the last post, I teased that one of Sabrina’s photos was selected for National Geographic’s ‘Daily Dozen’ as an Editor’s Favorite, but I didn’t share which photo that was. Well, that photo is in today’s post, so keep reading until the end to see it! 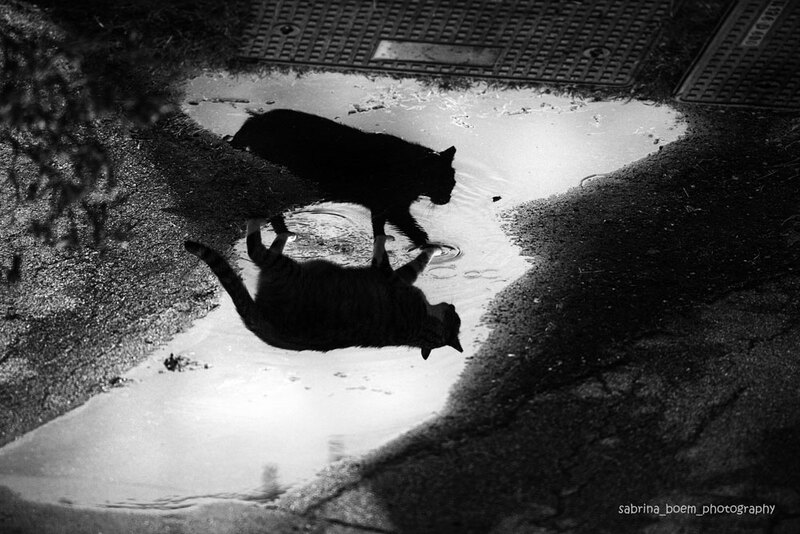 Sabrina, who lives in Italy, photographs stray and shelter cats. She also photographs people with cats, and today we will learn about that process. 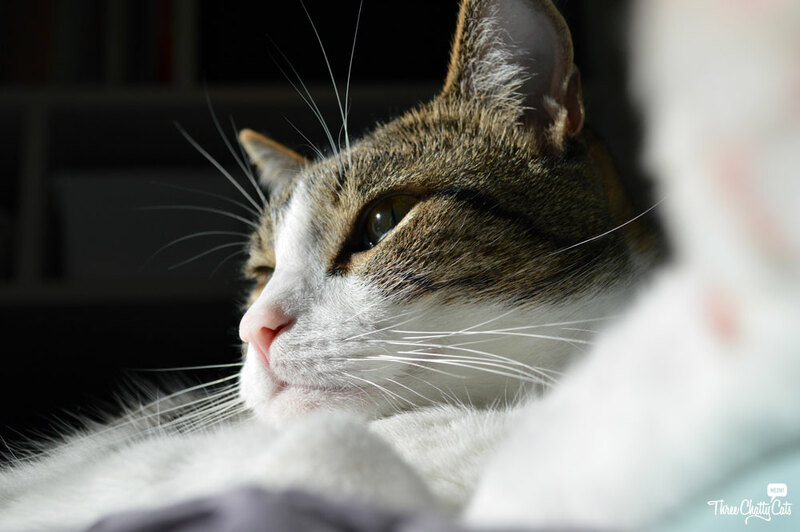 Sabrina also shares with us a special story of a woman and her cat. You may remember that I briefly introduced you to amateur photographer Sabrina Boem in an earlier post. 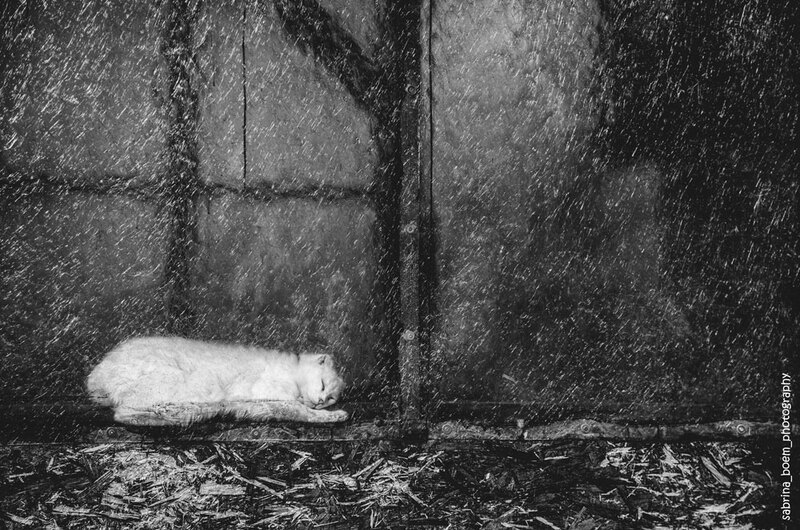 Well, today is the first in a series of three posts featuring her stunning black and white photography – with today’s subject being Stray Cats. 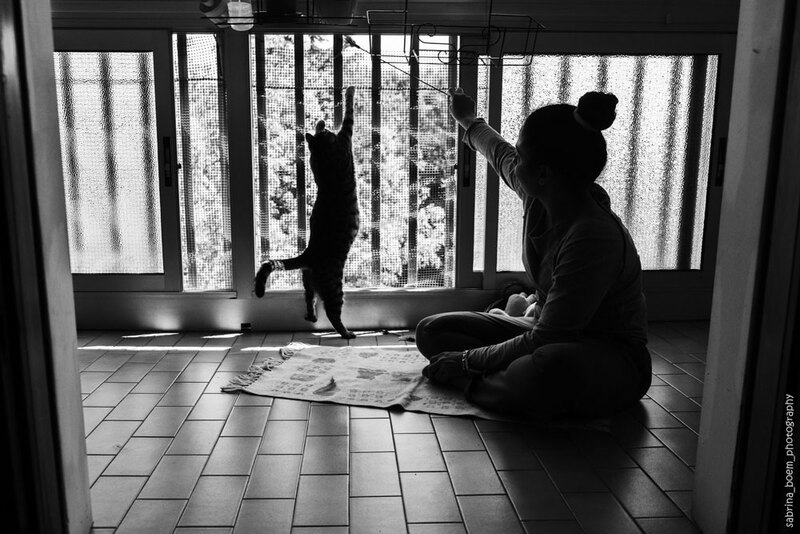 Later we will see People with Cats and lastly Sabrina’s Shelter Photography in the final post. Residing in Italy in San Dona’ di Piave (Venice), Sabrina is a small business owner whose passion for photography has led to one of her photos being selected for National Geographic’s ‘Daily Dozen’ as an Editor’s Favorite! Stay tuned to find out which photo – it will be in the People with Cats post. 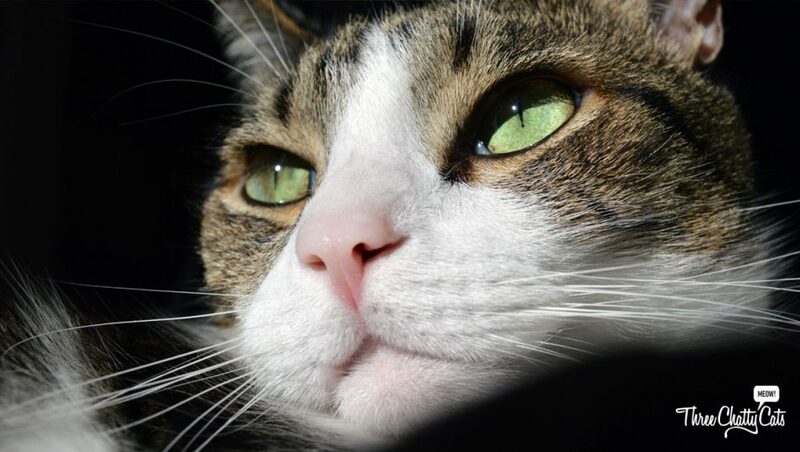 At the end of this post, there is a special video compilation of Sabrina’s stray and shelter cat photography. Volume up when you watch it!